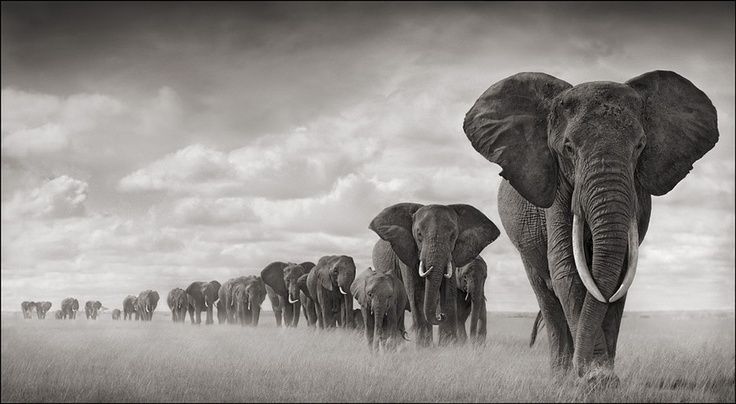 Nick Brandt is a photographer who photographs exclusively in Africa, one of his goals being to record a last testament to the wild animals and places there before they are destroyed by the hands of man. The photograph below is the one that first caught my attention. A well-crafted and powerful image. 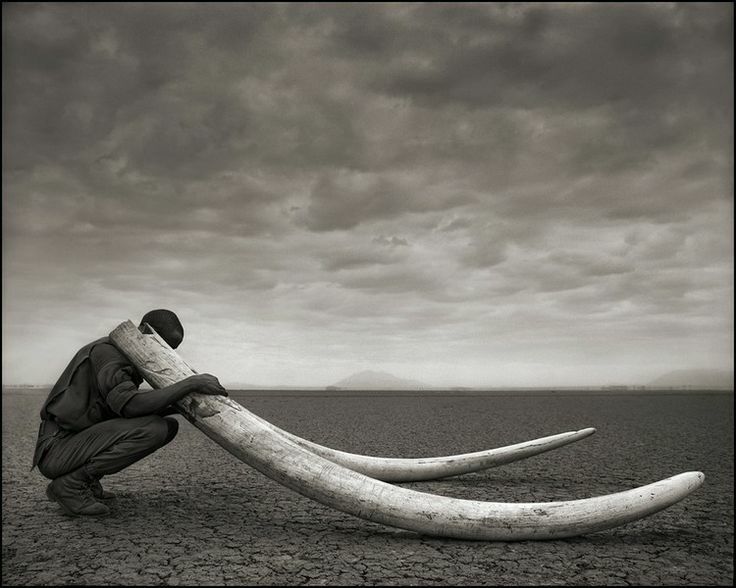 You can feel the desperation and emptiness left by the elephant’s untimely demise in the ranger’s heart. A moment mirrored by dense low-lying clouds over a vast, barren, landscape. An abandoned ostrich egg sits alone, forgotten, in a dry wasteland. A bleak metaphor of the future for Africa’s wildlife without more protection.